The Lions return to the NFL playoffs was short-lived, but they fought hard. 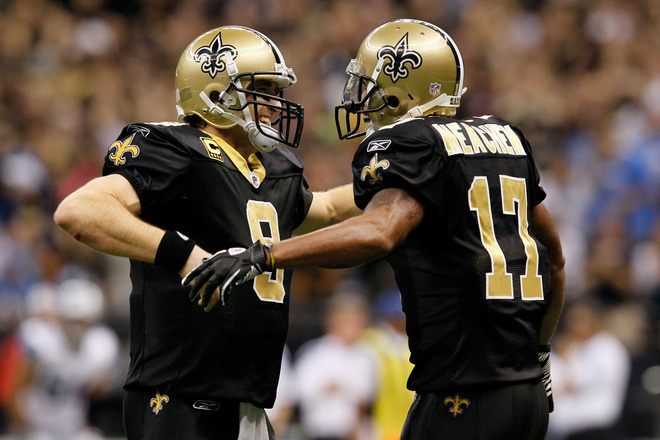 The only problem was that they were put up against Drew Brees and the red-hot Saints. Matthew Stafford and Calvin Johnson hooked up a few times for TDs, but Breesy made things look easy as he racked up 466 yards against the Lions secondary. Detroit set the tone with a great opening drive and really controlled the game in the first half. It wasn't till the second half that the Saints explosive offense ignited and it wasn't till the last quarter that the Saints marched away. The 49ers will have to put up big offensive numbers if they want to win in Candlestick.